Double bedspread / gran foulard. Hand printed with wooden blocks on very nice good quality thick cotton. Responsibly printed with respect for people and planet. Each piece is a work of art. Measures 220 X 240 cm. 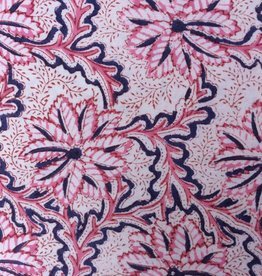 Textile from Sangeneer(Jaipur) India. vegetable dyes and thus no chemicals are used. Double bedspread / gran foulard. Hand printed with wooden blocks on very nice good quality thick cotton. Responsibly printed with respect for people and planet. Each piece is a work of art. Measures 220 X 240 cm. 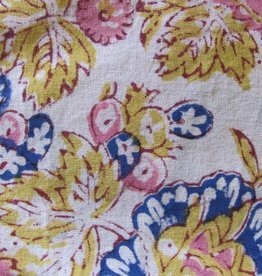 Textile from Sangeneer(Jaipur) India.